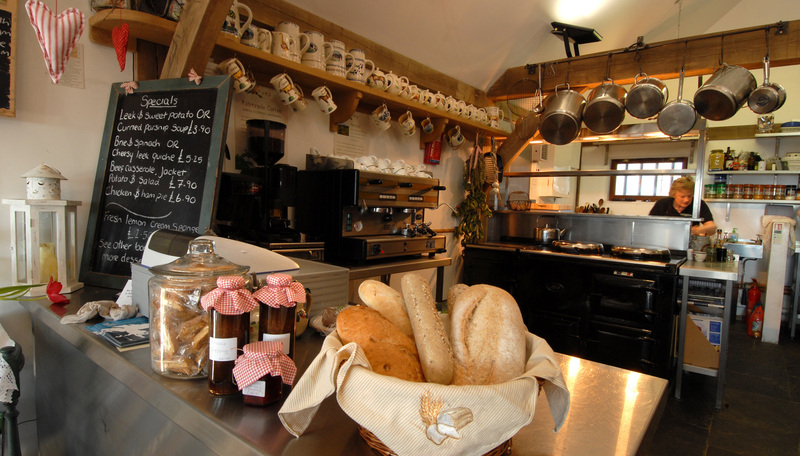 food@cowslip serves light lunches, Cornish cream teas, coffee and delicious cake. Special parties are catered for including unique country weddings and celebrations. We also hold special supper evenings, which take place throughout the year. Andrew and our chefs have worked with me and helped to build the Café from the outset and I am proud to offer a very high standard of local, wholesome farmhouse food. The cakes/muffins etc. are made freshly each day and the majority of the fresh produce is grown in our kitchen garden. We are lucky to have the best local suppliers on our doorstep, including butcher Phillip Warren & Son and Tregida Fisheries who supply wonderful smoked and fresh fish. The bread is Organic and made by our local bakery, Parkers. We also use our own Lamb when possible which is always tremendously popular. We are not licensed but customers are very welcome to bring their own wine (we supply the glasses) and we have a great range of cold drinks including Cornish Sparkling Water and Apple Juice from Cornish Orchards. The café is open Monday to Sunday 10.00am - 5.00pm (last orders at 4.30pm).